The Council of Chalcedon, from the perspective of the Alexandrine Christology, has deviated from the approved Cyrillian terminology and declared that Christ was one hypostasis in two natures. However, in the Nicene-Constantinopolitan Creed, "Christ was conceived of the Holy Spirit and of the Virgin Mary," thus the foundation of the definition according to the Non-Chalcedonian adherents, according to the Christology of Cyril of Alexandria is valid. 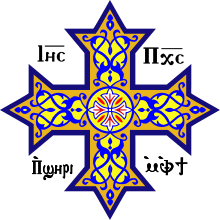 In terms of Christology, the Oriental Orthodox (Non-Chalcedonians) understanding is that Christ is "One Nature—the Logos Incarnate," of the full humanity and full divinity. The Chalcedonians understanding is that Christ is recognized in two natures, full humanity and full divinity. Oriental Orthodoxy contends that such a formulation is no different from what the Nestorians teach. This is the doctrinal perception that makes the apparent difference which separated the Oriental Orthodox from the Eastern Orthodox. ↑ calcademy Archived October 13, 2007, at the Wayback Machine.